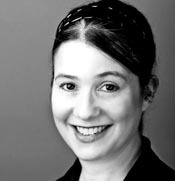 (Adult Ballet) Julie has danced and taught professionally for over 25 years. As a Principal Ballerina with the Oakland Ballet Company, she toured extensively throughout the United States and Europe performing many of the company’s leading roles. She currently serves as Ballet Mistress and Artistic Advisor for the Menlowe Ballet Company, is a Master Teacher for the Ballroom Dance Teachers College, and she teaches public ballroom and social dance classes at Oakland’s Just Dance Ballroom. Through her nurturing and supportive teaching style, Julie provides adult students of all levels, from beginning to professional, the opportunity to pursue their love of dance and enhance their technical and artistic skills.